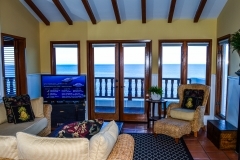 Spectacular ocean front villa sitting directly on the bluffs above the crystal blue waters of Hamilton Cove. 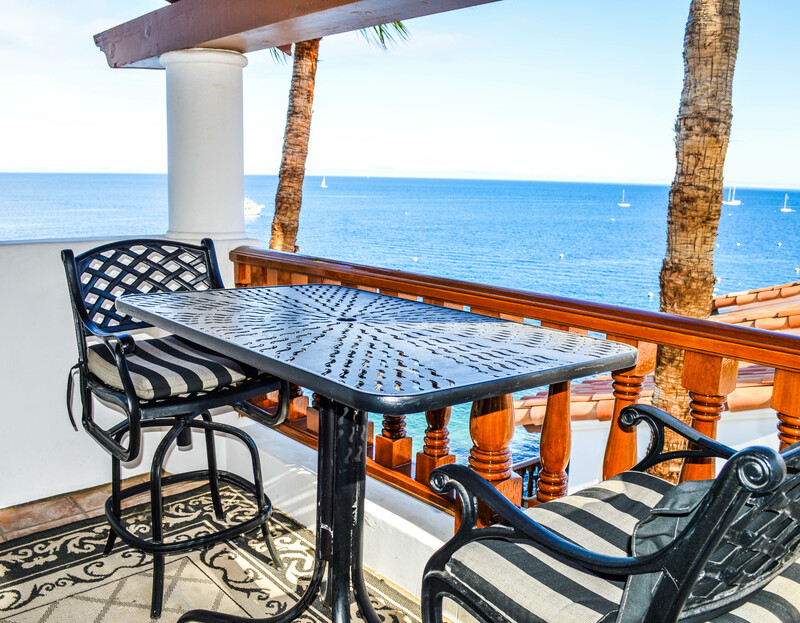 This rare top floor, corner villa features two private patios. 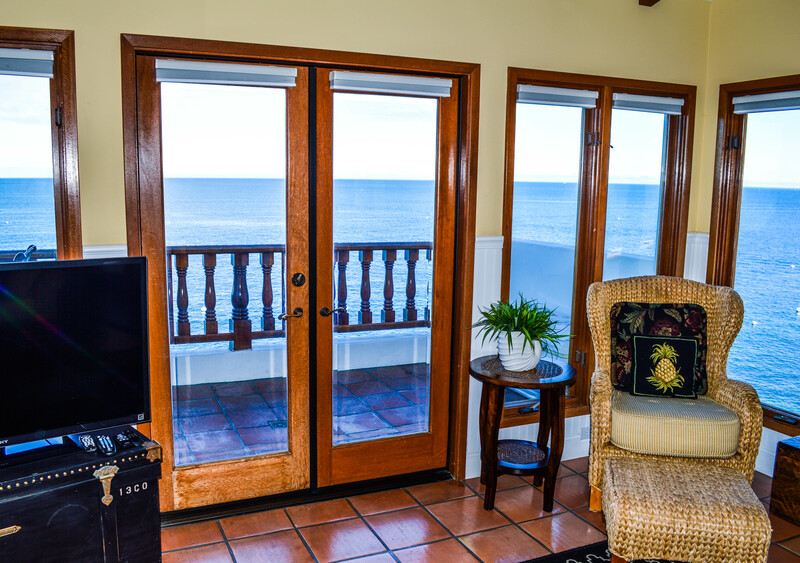 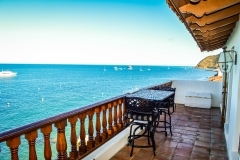 Enjoy unobstructed ocean views from the large private patio that extends the entire length of the villa and is accessible by French doors from the master bedroom and from the living room. 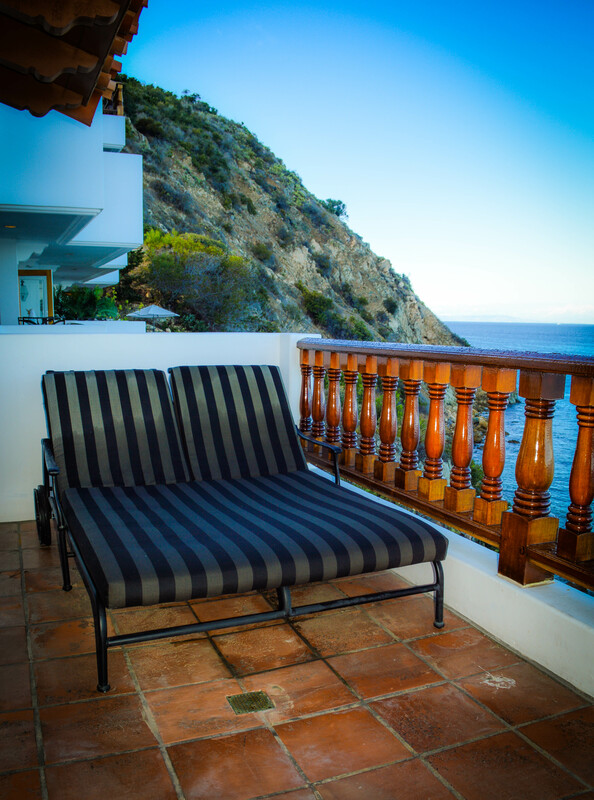 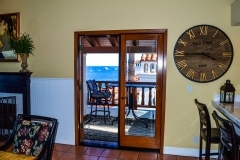 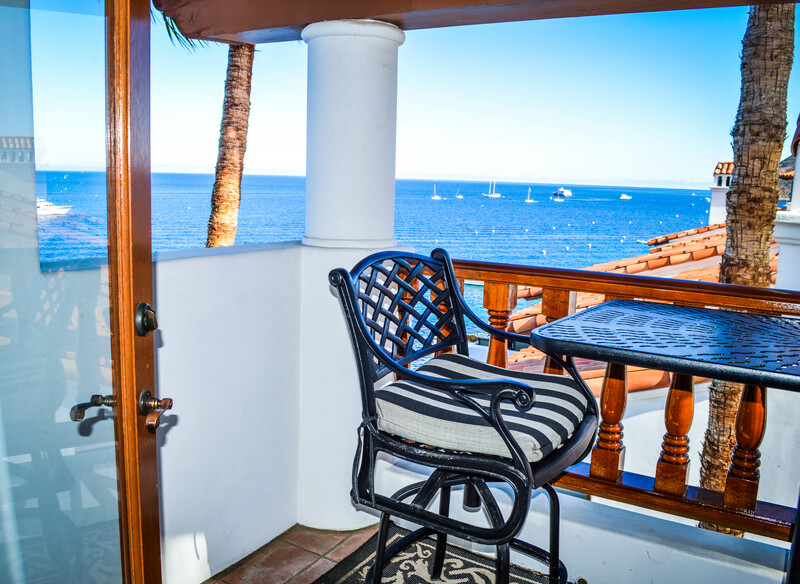 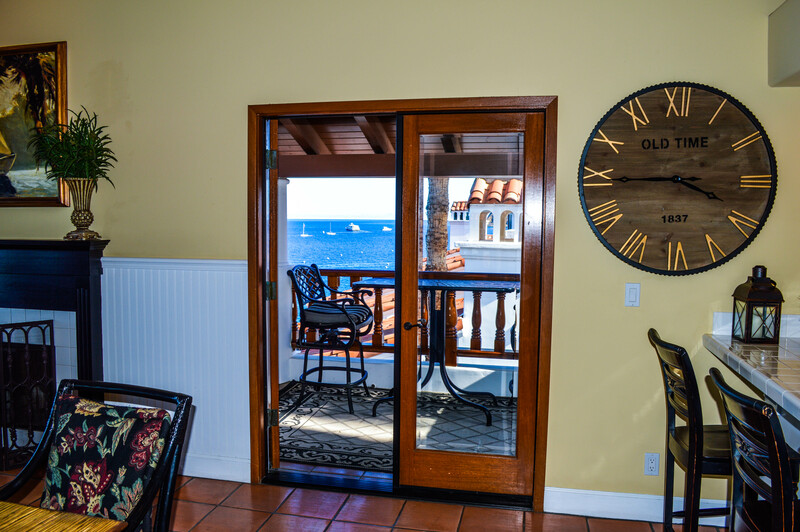 Or begin your day with a nice breakfast on the second private patio facing Avalon. 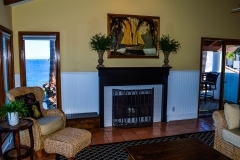 On those chilly winter nights, cozy up to the wood burning fireplace with a mug of hot cocoa. 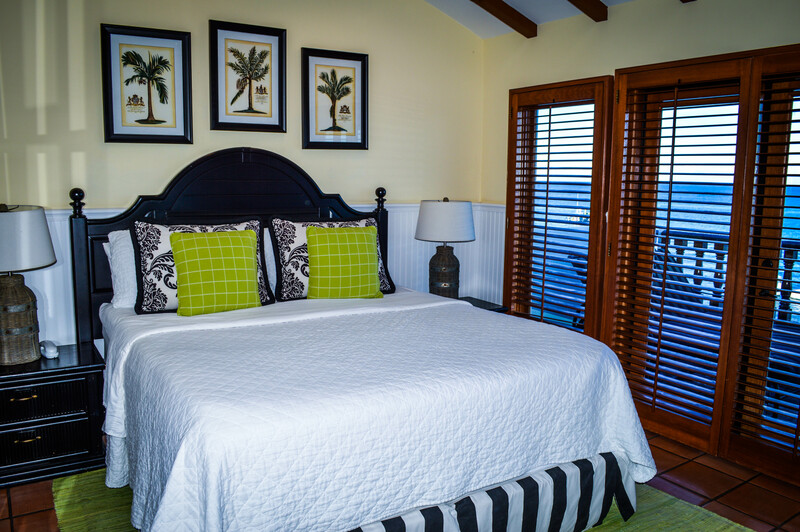 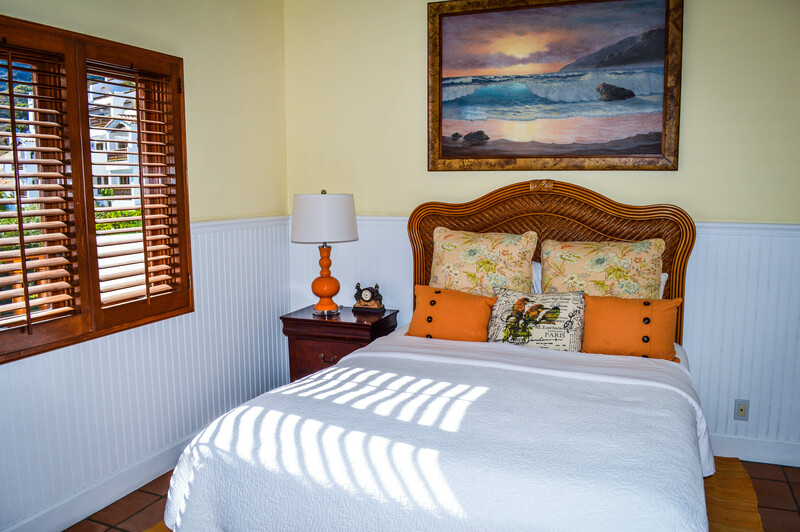 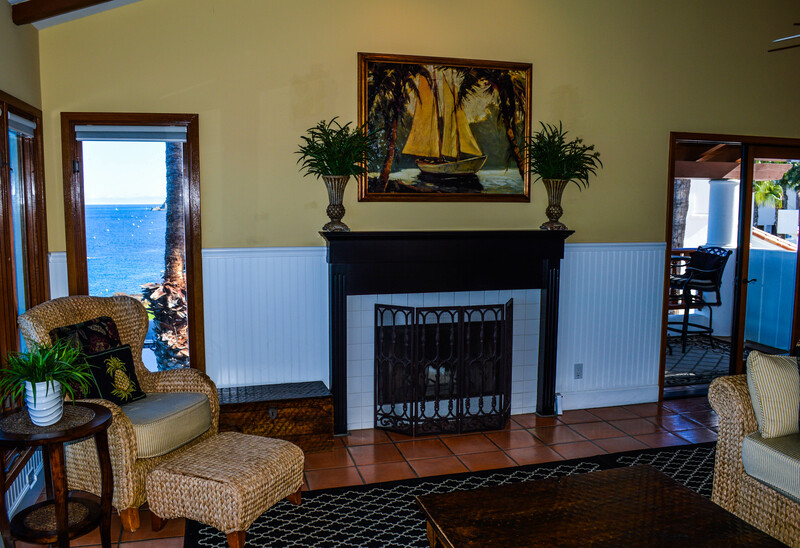 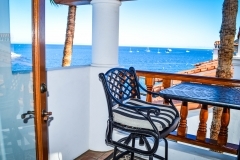 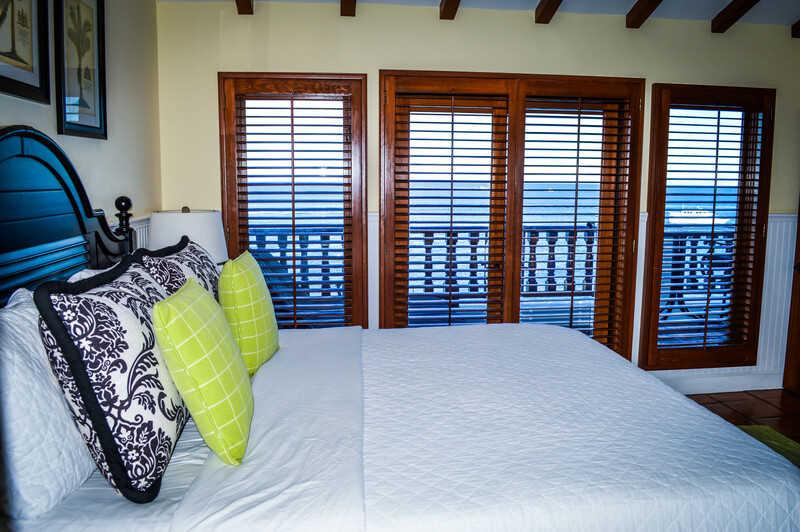 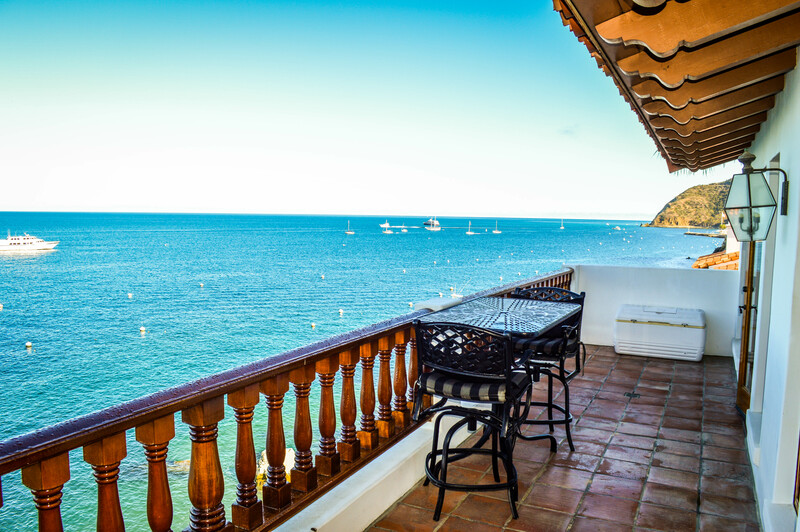 During the warm summer days, watch the boats swaying on their moorings, the snorkelers exploring the sea life, and kayakers paddling below your private patio. 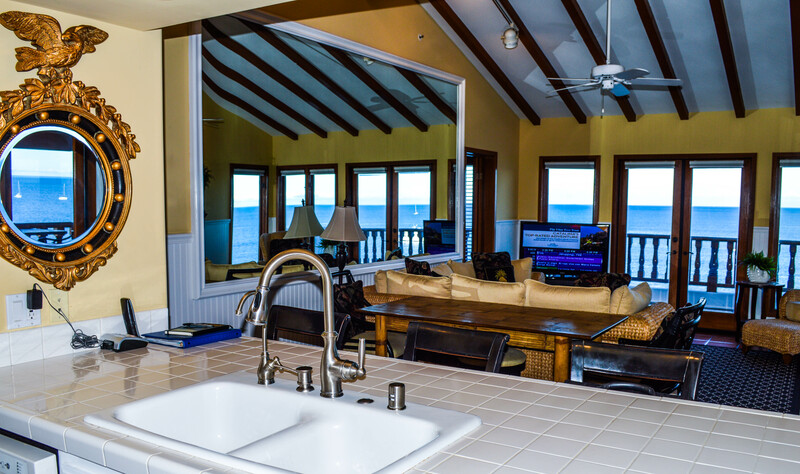 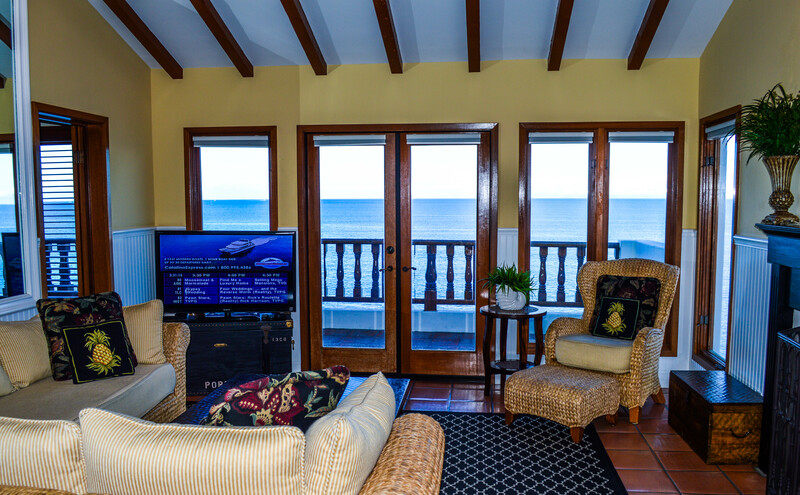 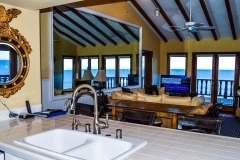 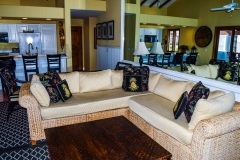 Professionally decorated, this premium villa features high vaulted ceilings, Saltillo flooring throughout, a fully appointed kitchen, and an open floor plan with ocean views from the master bedroom, living, dining, and kitchen areas. 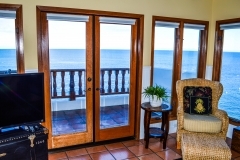 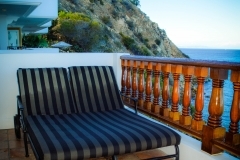 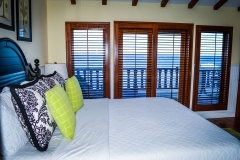 With only 3 stairs to access this top floor villa, it is easily accessible from the from the complementary golf cart.